FRANCISFRANCIS X1 trio - ese pod HANDLE also x3 and x6 trio. 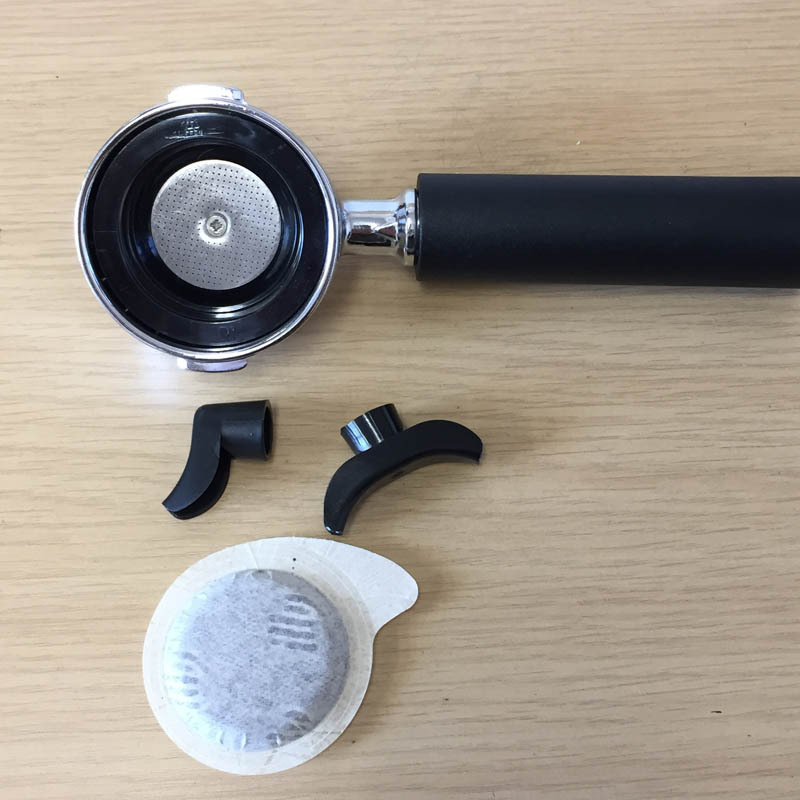 This replacement pod portafilter handle is designed to fit your 3rd generation Francis Francis X1 TRIO POD machine and X6 TRIO machine. 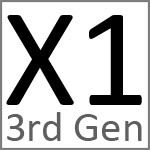 The UK version of the 3rd generation X1 is a ground coffee only machine, however an E.S.E POD version was manufactured for the market outside of the UK - this is called a TRIO. 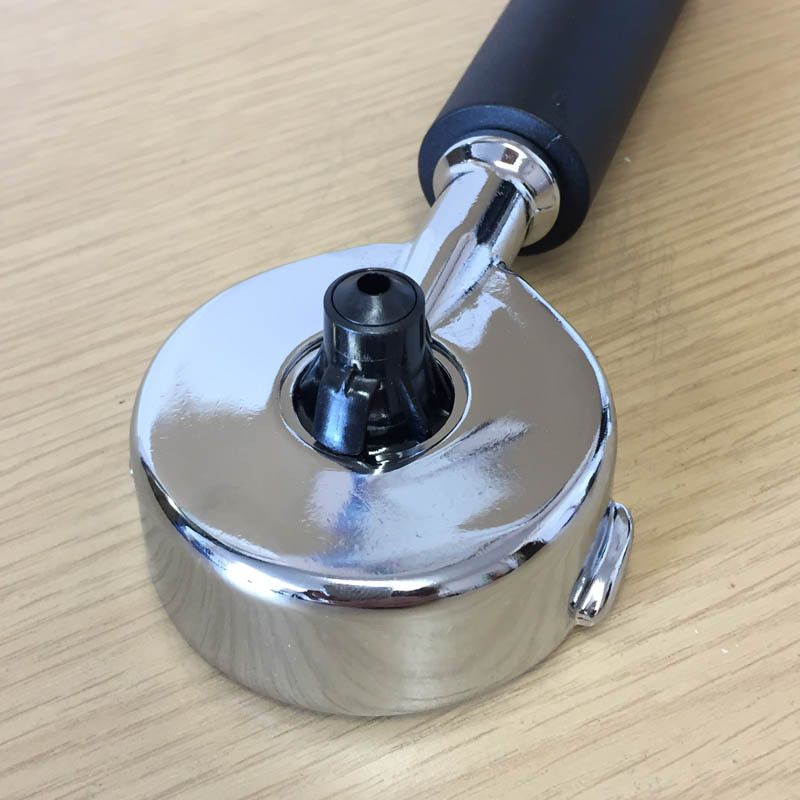 A TRIO pod version of the X3 machine was manufactured for a short time, additionally the X6 TRIO machine only used ESE pods, so the handle is a perfect fit for the X6 machine. 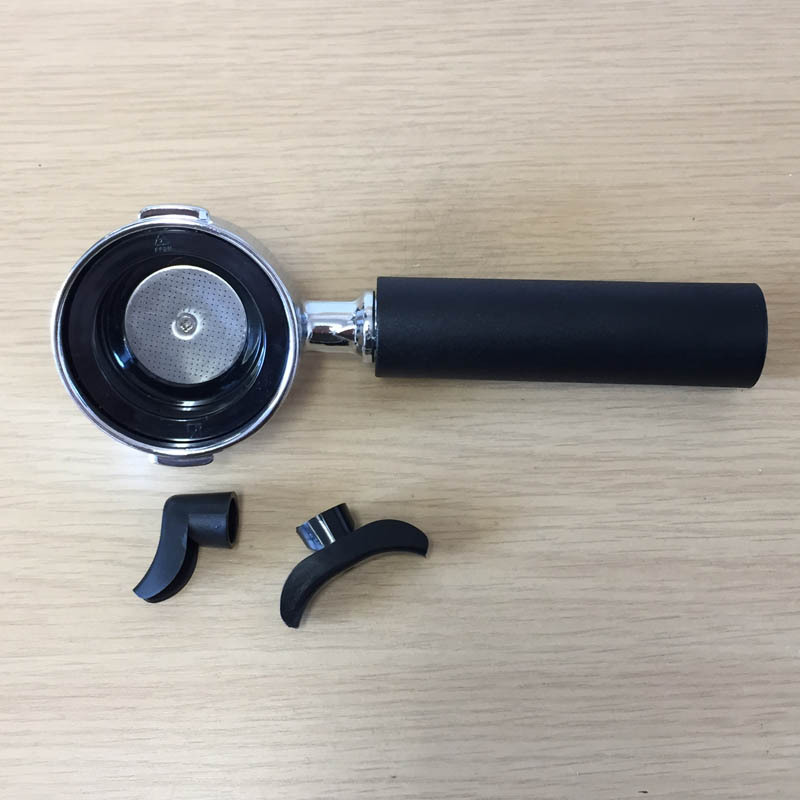 A TRIO machine can only use a TRIO portafilter handle it is unable to use a ground coffee or capsule alternative. 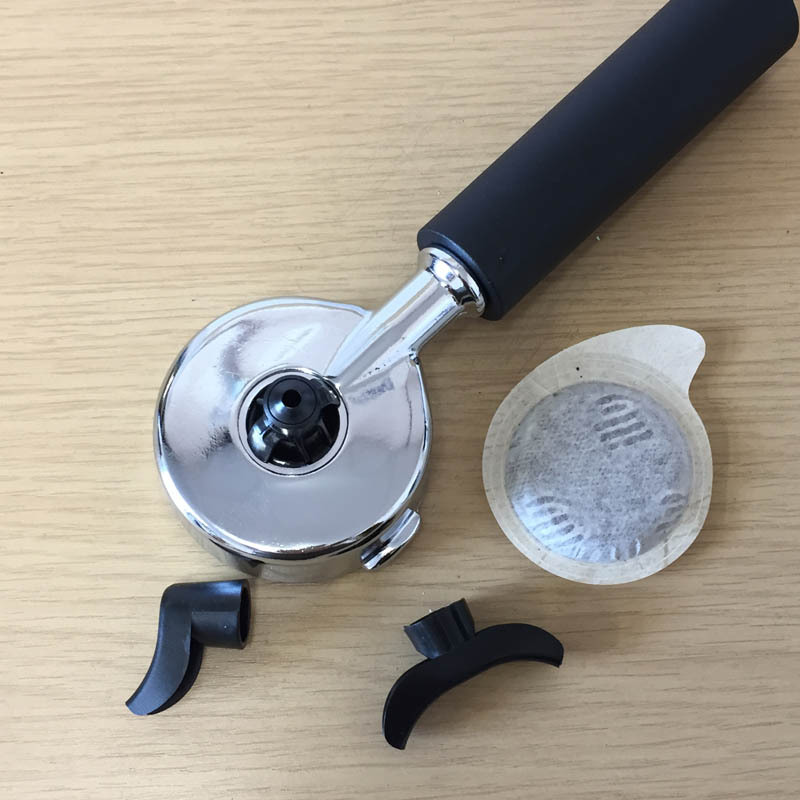 The TRIO was so titled because it has a three position extraction system, the more the handle was turned to the right, one of three drinks was extracted - ristretto, espresso or lungo. This handle cannot be used to convert any non-TRIO machine to accept ESE pods. 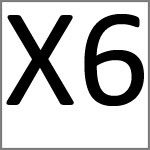 So it is not suitable for a X1 (1st), X1 (2nd), X1 (3rd), X2, X3 (pod+ground), X4, X5, X7 or X7.1. 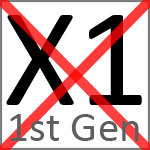 The 3rd generation X1 TRIO has a brass boiler. This machine takes only E.S.E pods coffee pods. Cup picture icons printed on the chrome group head to indicate the three TRIO positions. This machine can only use a TRIO POD portafilter handle, it can't use a ground coffee or capsule handle, or the earlier X1 versions (1st and 2nd generations) handles. 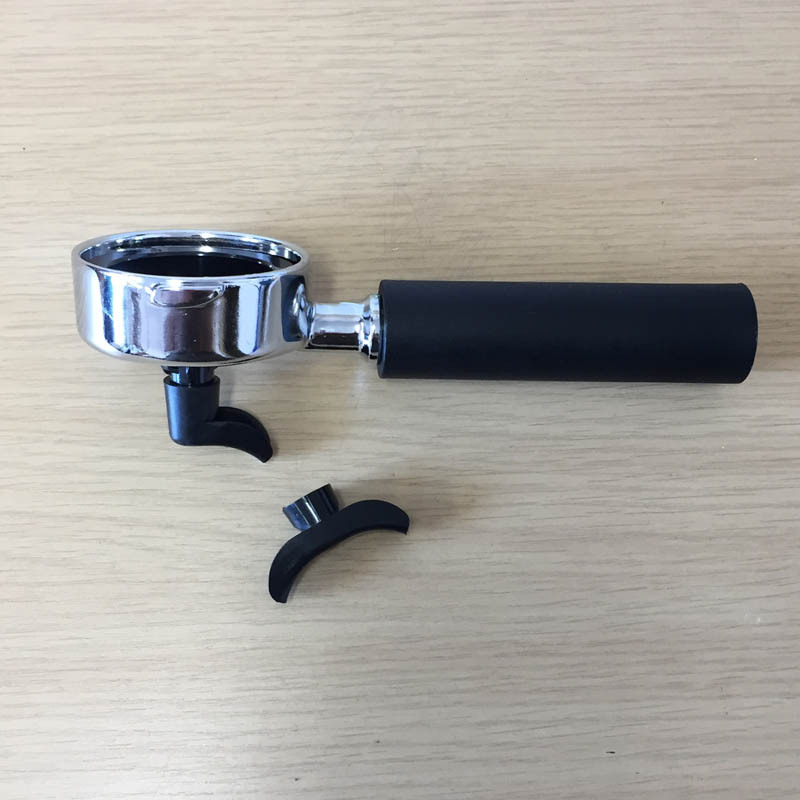 TRIO pod portafilter handle complete with plastic insert to house the pod.